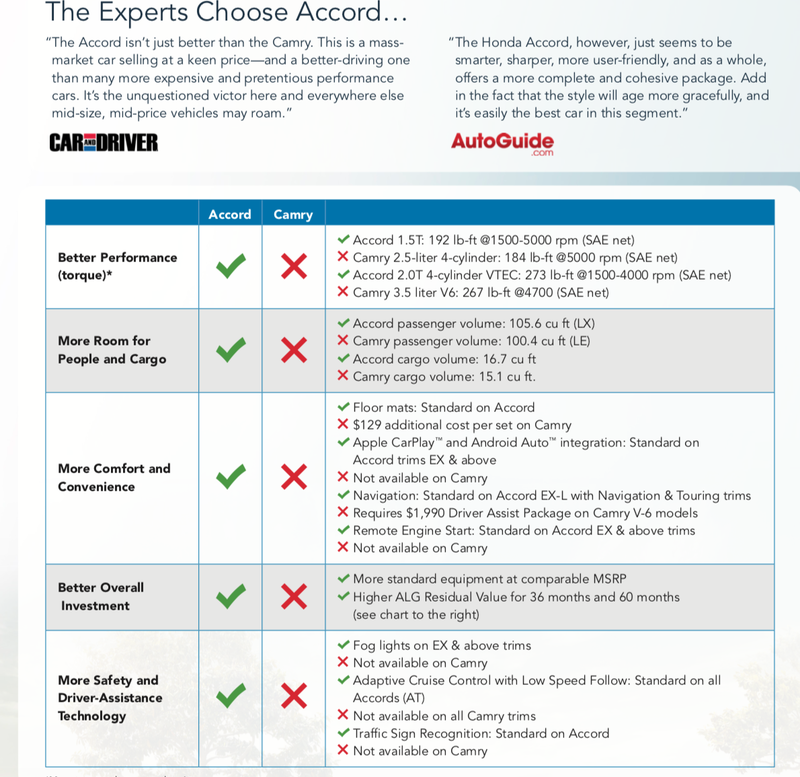 2018 Accord VS 2018 Camry… Experts choose Accord! The newly re-designed 2018 Honda Accord has been a hit ever since its debut late last year. The Accord has always represented the vision and core values Honda has always encompassed. The beloved Honda Accord has been around for more than 4 decades and being loved and driven by 13 million customers. 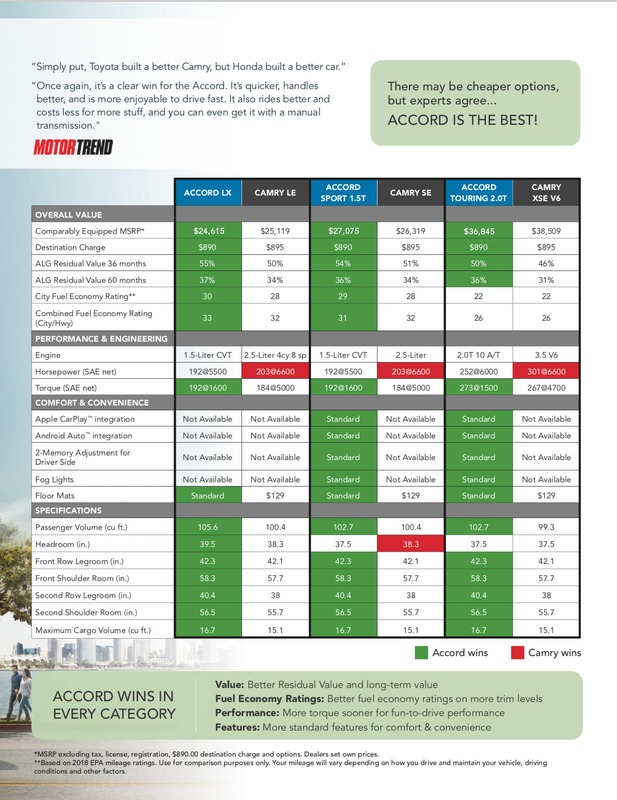 The 10th generation Accord takes the Accord to all new level, and has been proven worthy and unbeatable over all of its competition. Honda has put a turbocharged engine for the first time ever in the Accord, giving the consumers two different turbo options with the 1.5T and the de-tuned version of the famous Civic Type R engine, 2.0T. Not only is Honda giving consumers two different turbo options but they are also giving customers transmission options and saving the manuals. The 2018 Accord sedans all come standard now with Honda Sensing, driver assistive technology. 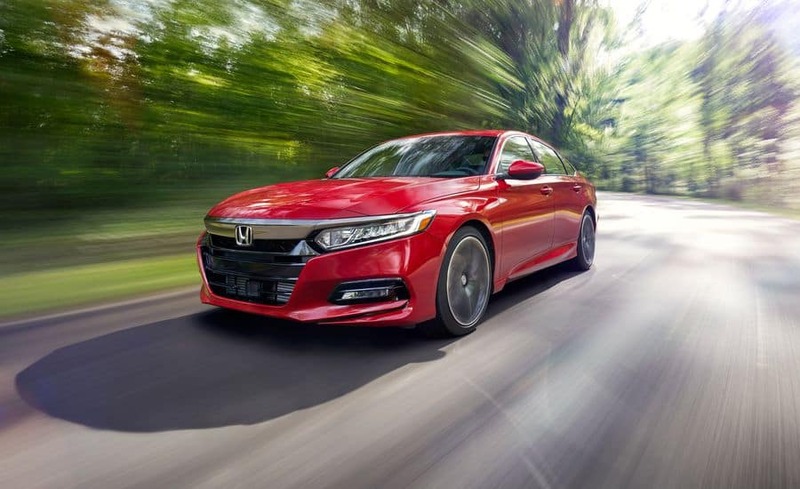 The new re-designed Accord has only been available for such a short time but has been given many praises by the experts and has been honored with many awards like the, 2018 North American Car of the Year.